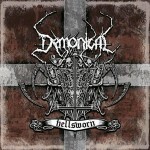 Demonical was spawned in March 2006 by former Centinex members Johan Jansson (guitars & vocals), Martin Schulman (bass) and Ronnie Bergerståhl (drums) with a mission to return to the roots of death metal and deliver a sheer dose of darkness and brutality. The first audio assault, a four track promo attack entitled “Bloodspell Divine” was recorded at Necromorbus Studios during July the same year. In November 2006, Demonical added vocalist Ludvig Engellau to the line-up (because Johan wanted to fully concentrate on the six-string axe) and signed a worldwide multi-album deal with the German label Cyclone Empire. The bands first full-length album, “Servants Of The Unlight”, was recorded at both Black Lounge and Necromorbus Studios during January and February 2007 and released in April the same year. In November 2007 Temple of Darkness released a limited Demonical/Absu 7″ EP featuring one track from the “Bloodspell Divine” promo. In December 2007 the band parted ways with vocalist Ludvig Engellau due to musical and personal reasons. 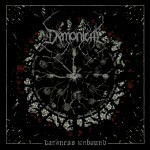 Demonical continued for a few months with various session vocalists until late March 2008 when Sverker “Widda” Widgren came on board as the new fulltime frontman. The bands second full-length album, “Hellsworn”, was recorded at Necromorbus Studios between December 2008 and February 2009 and released by Cyclone Empire in May 2009. A split 7″ EP called “Imperial Anthems Vol.1” with Paganizer was released by Cyclone Empire in early 2010. 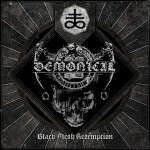 This limited vinyl featured an exclusive Demonical track recorded at the “Hellsworn” session. 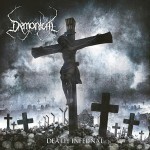 In September 2010 Demonical once again entered Necromorbus Studios in order to record “Death Infernal”, their anticipated third full-length album. The album was recorded throughout the fall and released in Europe by Cyclone Empire (April 2011) and in north-America by Metal Blade (July 2011). During the fall 2011 drummer Ronnie Bergerståhl decided to leave the band due to scheduling conflicts and he was replaced by Fredrik Widigs. The first half of 2013 was spent at both Necromorbus and Wing Studios in Stockholm with the recordings of the bands fourth album, “Darkness Unbound”. After the recording a line-up change took place with Johan Haglund replacing Johan Jansson and Ämir Batar replacing Fredrik Widigs. “Darkness Unbound” was released worldwide in November 2013. A limited split 7”EP with Nunslaughter, entitled “European Deathcharge”, was released in July 2014 in support of both bands joint co-headlining tour. 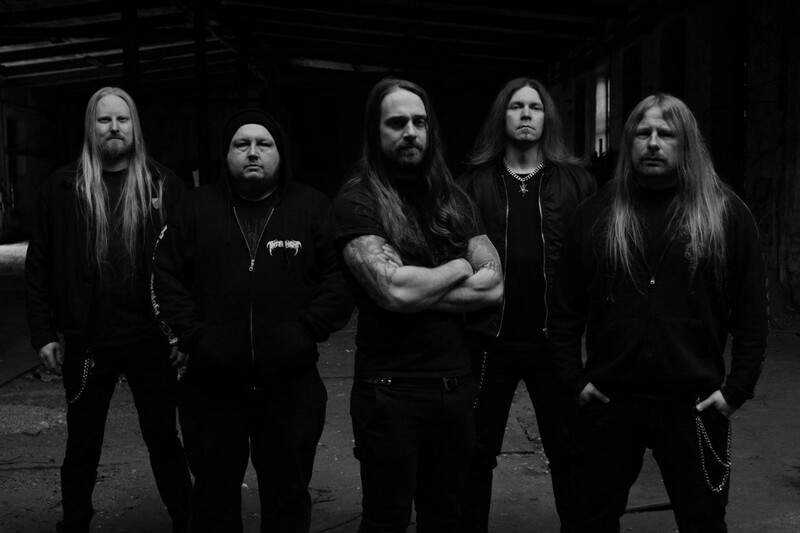 In December 2014 Demonical both parted ways with drummer Ämir Batar and guitarist Daniel Gustavsson as well as inked a new worldwide deal with Agonia Records. The first release for their new label-home, a four track MCD entitled “Black Flesh Redemption”, was recorded at Wing Studios in early 2015 for a spring street date. The recording featured session members Eki Kumpulainen on guitar and Kennet Englund on drums. “Black Flesh Redemption” presents a slightly new course when it comes to the bands musical and visual formula, however, we are still talking about the finest form of pitch black old-school Stockholm-style death metal. 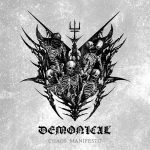 Over the years Demonical have played clubs and festivals all over Europe, North America and Russia always delivering high quality brutality of finest kind.